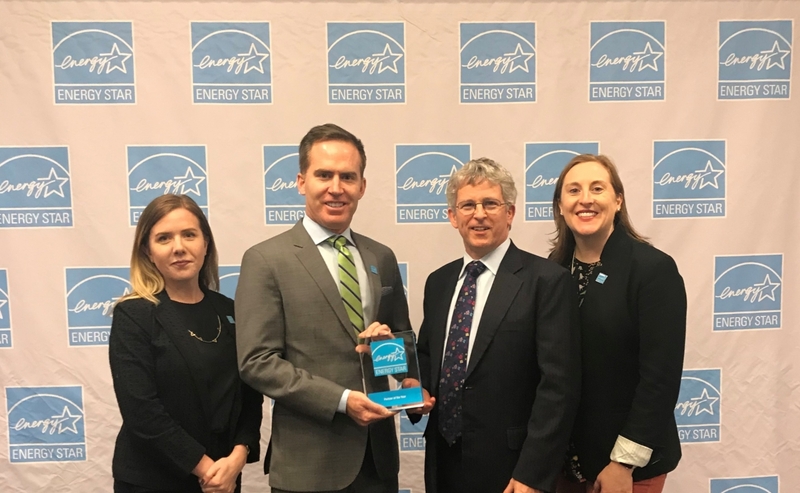 PALTO ALTO, Calif., April 26, 2018 /3BL Media/ -- HP is proud to receive the 2018 ENERGY STAR® Partner of the Year Award for Product Brand Owner, for our environmental leadership in IT equipment. HP’s accomplishments were recognized by the U.S. Environmental Protection Agency and the U.S. Department of Energy at a ceremony in Washington, D.C. on April 20, 2018. HP Chief Sustainability and Social Impact Officer Nate Hurst, along with Kasia Witkowski, Director, HP Government Relations in the Americas, and Katherine Hand, Global Head of Strategic Communications for HP Sustainable Impact, accepted the award on HP’s behalf. EPA recognized HP’s continued commitment to designing and manufacturing high-efficiency products, calling out the company’s ever-expanding array of ENERGY STAR certified products—totaling nearly 800 products in 2017. HP’s personal systems portfolio includes more certified products than any other manufacturer, while most of its printers meet certification requirements. In addition, HP continues to innovate its existing products, making the HP Elite Slice 70% lighter and 50% more energy efficient than other product offerings and doubling the number of HP computer monitors that meet the ENERGY STAR Most Efficient criteria. For more information about HP’s commitment to driving sustainable impact, including our portfolio of ENERGY STAR products, visit www.hp.com/sustainability. HP Inc. creates technology that makes life better for everyone, everywhere. Through our portfolio of printers, PCs, mobile devices, solutions and services, we engineer experiences that amaze. More info about HP is available at http://www.hp.com.